As an EB5 investor, you may qualify for a green card through the EB5 visa program by investing through an EB5 regional center or by making a direct investment. In this guide, I’ll discuss the advantages of making an EB5 direct investment. If you need help with your EB5 visa petition or if you have any questions, feel free to email me directly at Michael@AshooriLaw.com. My law firm is focused on the EB5 visa and we would be happy to assist you. The EB5 visa is an investment-based immigrant visa. The basic concept of the EB5 visa is that it allows you to get a U.S. green card for yourself and your immediate family by making an investment in a U.S. business. To qualify for an EB5 visa, you can either invest through a regional center or make a direct investment. Regional centers are entities that are designated by USCIS to sponsor EB5 projects. Regional centers pool together investment funds from several EB5 investors to develop large-scale projects, such as hotel developments and condominium complexes. An EB5 direct investment is any type of investment that is not made through a regional center. Examples of direct investments include: 1) starting your own business; 2) purchasing an existing business; or 3) investing in an existing business. There are multiple differences between regional center investments and direct investments. The right option for you will depend on your particular background, investment goals, and circumstances. Now, let’s analyze the advantages of EB5 direct investments. 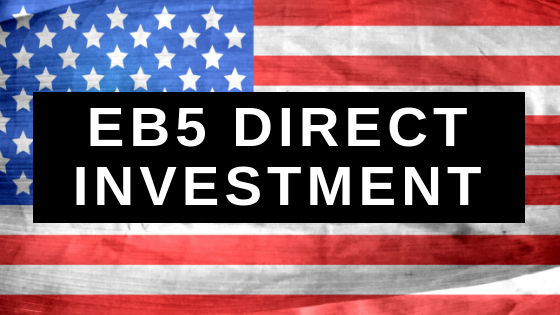 Generally speaking, EB5 direct investments offer more control to the investor. Whether starting a new business or purchasing an existing business, you (as the EB5 investor) have the opportunity to run the business how you want to. You can have hands-on involvement in the management and direction of the business. Alternatively, if you invest through a regional center, you have very little control over the business. Regional center projects offer very little control to the EB5 investor. Your control is generally limited to having the right to vote on major decisions. Therefore, if you are looking to have control over the business, an EB5 direct investment may likely be the more suitable option for you. Another benefit of making an EB5 direct investment is that you have unlimited earning potential. As with any start-up or entrepreneurial business venture, there is no cap on how much you can earn. If your business is successful, the return on your initial $500,000 to $1 million investment can be quite high. Alternatively, regional center investments historically do not produce very high returns. An investor looking to invest through an EB5 regional center is typically looking for a safe investment that will return their initial investment plus a minimal return. Therefore, if you are looking for an EB5 investment with high earning potential, an EB5 direct investment may be the preferable option for you. Regional centers charge a one-time fee, typically around $50,000 to $70,000, to manage the regional center project and to pay for other expenses. This fee is usually referred to as a management fee or an administrative fee. An EB5 direct investment usually will not have an administrative fee or syndication fee. As a prospective EB5 investor, you have 2 options regarding how to investor your funds: 1) you can invest in an EB5 regional center; or 2) you can make an EB5 direct investment. The right option for you will depend on your particular goals and circumstances. That said, making an EB5 direct investment has certain benefits; these include: 1) more control over the investment; 2) higher earning potential; and 3) no administrative fee. 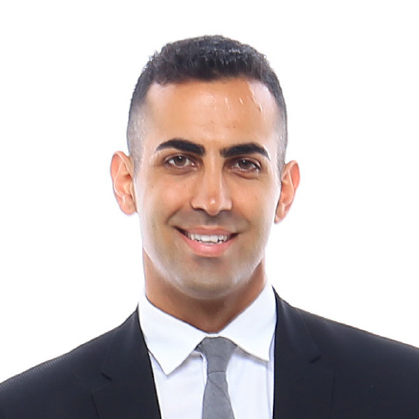 If you have any questions regarding the EB5 visa, or if you need help with your EB5 visa petition, please feel free to email me directly at Michael@AshooriLaw.com. My law firm focuses on the EB5 visa and we would be happy to help you.